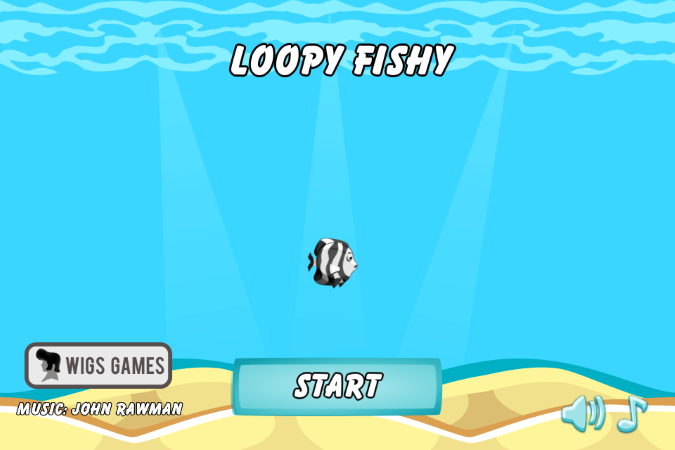 Loopy Fishy, the swimming, bouncing, flip flappy, loop-the-looping fishy game. 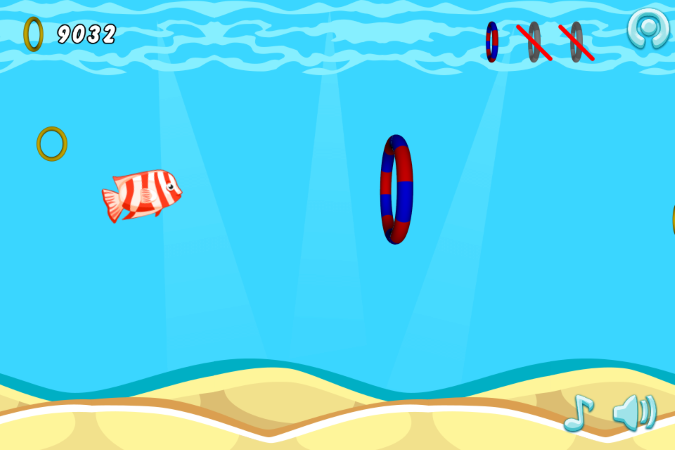 Experience Loopy Fishy, the swimming, bouncing, flip flappy, loop-the-looping fishy game. 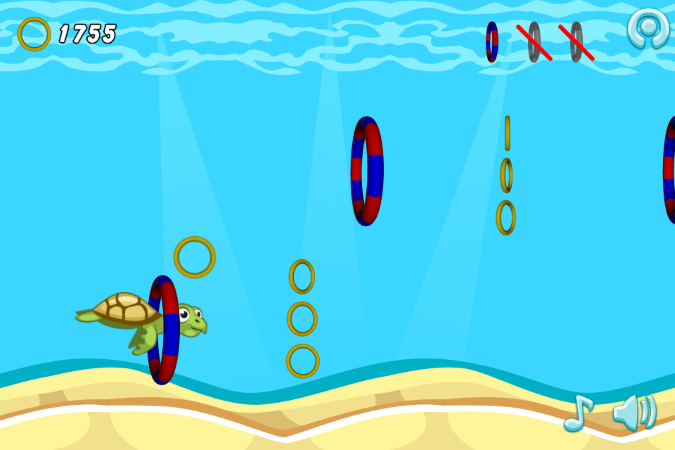 Be sure to swim through the hoops, if you miss three loops, or swim off the bottom of the screen the level will end. 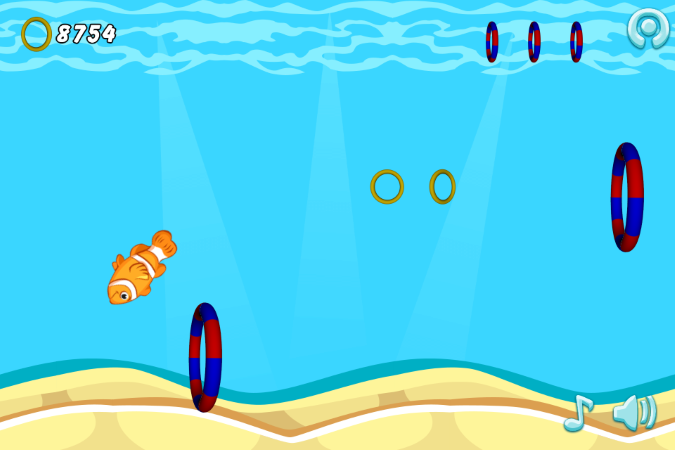 Dive through the Loops, or Loop-the-Loop and go through them backwards to be sure to collect the Golden ring bonus. 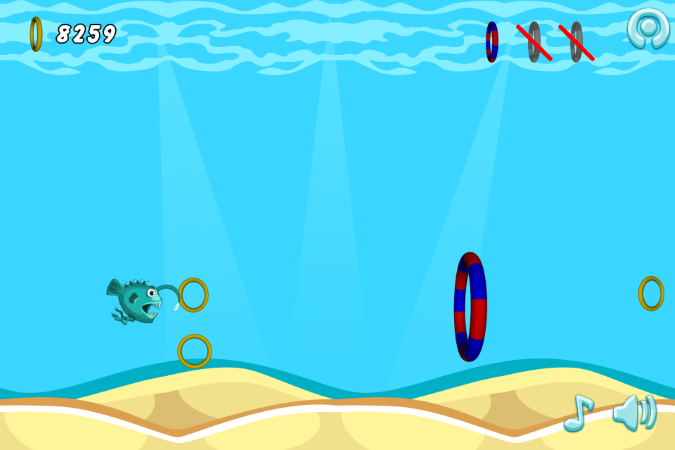 Golden rings are the currency of Loopy Fishy, collect enough to purchase new fish, and progress to harder challenges. Controls: Mouse or touchscreen only. Dynamically self adjusts for any device, at any resolution. 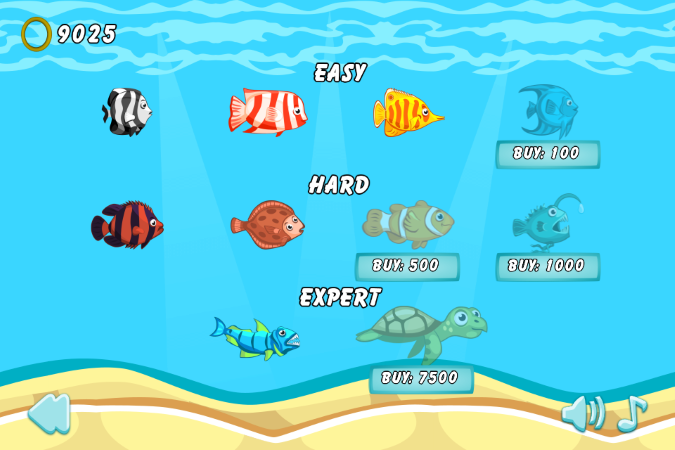 Android, HTML, Flash and Windows versions.